Whether you’re laying down your own beats and just wanting to record vocals or you’re a member of a 5-piece band and you want to be able to increase your web presence with quality recordings, building a DIY home recording studio is not nearly as daunting of a task as it seems. We remember when we first started making music with an old beat up computer, a free trial of software and our dad’s old microphone — we’ve been hooked ever since! Since a lot of creatives and musicians wouldn’t know where to start, we’ve put together this guide to provide you with some simple tips on building your own home studio based off of our own personal experience, chats with pro musicians, and in-depth research through out the years. We’ll also give you some of our favorite gear recommendations to get you going right away to start laying down those hit tracks you’ve been letting bottle up in your head. The benefits of having a home recording studio are well worth the investment. 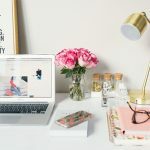 All musicians know that creativity comes in waves, and nothing feels worse than having an “off day” in the studio while watching the clock ticking away while you’re paying hourly rates. 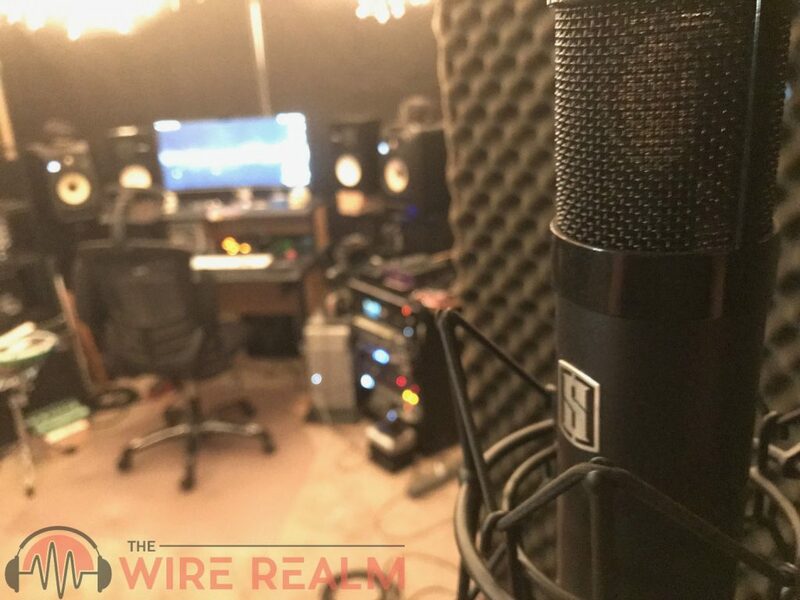 Just occupying studio space typically starts at round $50-$70 an hour and that often does not include whatever you’ll be paying your audio engineer and/or producer. Studio time has to be booked in advance. 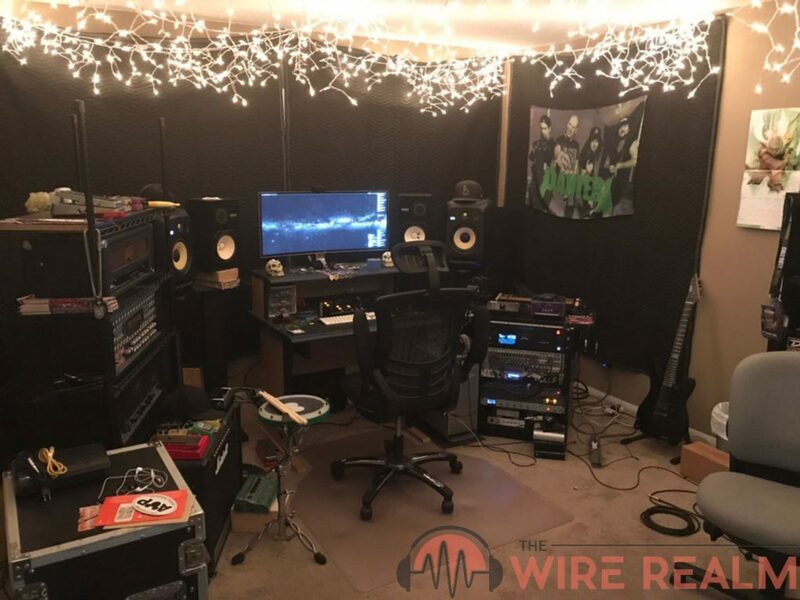 If your band knows exactly what they want to record, exactly how they want to record it, and can run through the songs error free, then a studio rental might be a good option for you, but once you lay down that recording its done. Also, who is to say that the audio quality at your local studio is that much better than the kind of quality you can get at home? Chances are if you live in a rural or remote area without many studios to choose from that the quality of your recording at a rental studio space might not be fantastic. In my research of local studios for rent in Los Angeles, about 7/10 studios I looked into were converted garages or rooms in someone’s home. Building a home studio has become such a feasible option that its hard to justify paying for a commercial space for your studio. When you pay $50-$70 an hour for studio space, how much of that goes to the quality equipment you’ll be using and how much of that goes towards the overhead and rent of the commercial space? Where do you want your money going? 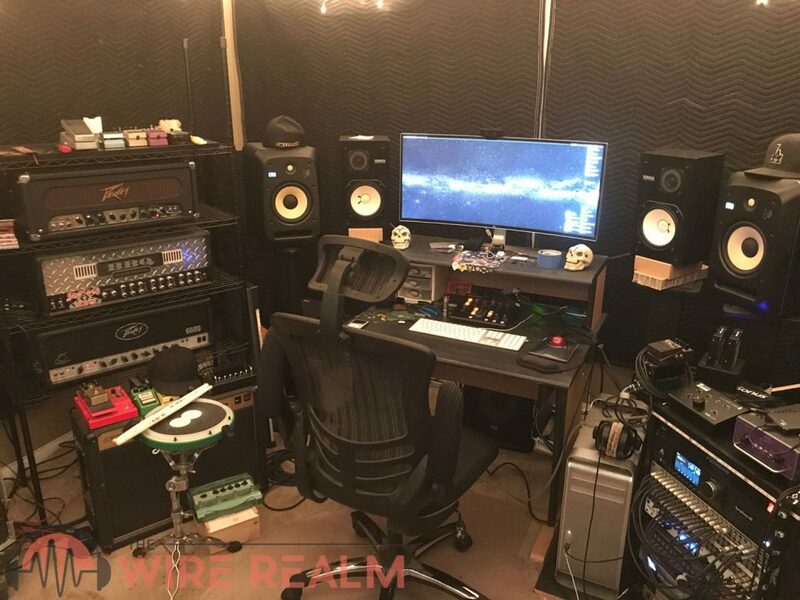 I’ve seen first hand many talented producers leave the commercial environment to build a home studio starting out with a home rig big enough to record guitar and vocals and eventually recording high quality professional albums out of their homes. We don’t recommend renting space from other studios. You can build your own in no time, nowadays. A home studio means gives you the freedom to explore your creativity on your own schedule. It also gives you the freedom to go back and make changes once you’ve recorded your music. Due to budget and time constraints, this is not always an option for bands at commercial studios. You would be surprised how different a guitar riff or vocal line sounds when you’re performing it live compared to when you’re listening to it through headphones or in your car. You also have the comfort of recording in your own home in a space where you feel comfortable and creative. Recording in a foreign environment can be nerve-wracking, unsettling, and crippling for young musicians. Home studios offer a low-stakes low-risk setting for musicians to explore their creativity; isn’t that what it’s all about? So you’ve made it this far and you’re committed to the idea of having a home studio. Where do you start? The first thing you need to do is choose a location. We can’t even begin to explain how many different rooms, homes or environments we’ve tried — from studio apartments, to closets, garages, homes in the middle of nowhere, and more. There are a few things to consider here. First of all, you’re going to want to spend some time in your proposed space listening to the types of sounds that creep into the room throughout different times of the day. Is this room close to a busy road? Do your kids often play on the other side of one of the walls? Just wander into the space and listen throughout the day. Most sounds can be eliminated or at least muffled with some DIY isolation but things like plumbing and noise from the ceiling will be difficult to deal with. You’ll also want to consider the fact that you’ll be spending a great deal of time in this space once its done. You want it to be a room where you feel comfortable before you even begin this process. Avoid spaces in your house that don’t have air conditioning! The garage might at first seem like a good option, but are you really going to want to sweat it out in there while you’re mixing your recordings? Remember, you won’t need as much space as you have in your living room, but you’re going to want to have enough space so that you don’t feel cramped when you’re in there. Chances are you’ll have multiple people in that space pretty often. If you’re planning on recording your six-piece band, then anticipate having enough room for each member of the band and their instruments to sit and stand comfortably at the same time if possible. Now here is where most guides to building home studios for recording veer off in different directions. In this guide, we’re not going to ask you to build an entire insulated space within a room in your house because most of the people reading this article are not contractors and if you’re reading this you’re probably not interested in submitting your recordings for Grammy consideration (yet, at least!). To prep this space, you’re simply going to want to place sound absorbing materials around the room (as much as you possibly can). You may not be able to do it all at once, but we highly recommend slowly sound proofing your home studio. Some sound absorbing materials can serve multiple purposes for your space. Consider purchasing a comfy couch or bean bag chair and some pillows. Sound is best muffled by porous materials like foam, cloth, or fabrics. Treat your walls with some sound absorbing foam. Amazon and other popular sites have some great low-priced options here and you can buy them in packs, or one at a time. Some foam pads come in multiple colors so you can mix and match to avoid giving your room a sterile vibe. Installation is easy too. Just wipe any dust off the wall where you’d like to mount your sound foam pad and use industrial spray on glue to adhere it to the wall. 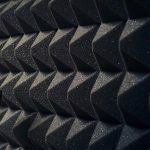 Foam on the walls will not only give your space a dryer more controlled sound on your recording, it will also mute the sound outside your space so that you can have your tube amp loud enough so that the tubes are really humming if that’s the sound you want to record. The more surface area you cover with foam pads the better, and if you have smooth ceilings you may want to consider placing some pads on the ceiling as well. Popcorn ceilings help to cut down on sound a little. Don’t forget we have an entire article on sound proofing home studios you can read. Below we’ll explain in more depth what exactly you’ll need to buy when it comes to build a home recording studio. If you need even more options, we’ll link you to their respective guides on our site, or you can always read our music gear guide or for more starter picks geared towards starters, our best beginners music equipment article we’ve recently written may help as well. Let us know in the comments if you have any questions or concerns that you feel we haven’t covered, or perhaps a factor you’ve come across during the building of your studio. As always, enjoy, and we hope we’ve been able to help. 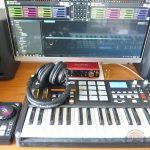 Feel free to post your home studio pictures in the comments! First things first when building a home recording studio, you’re going to need a music computer or laptop for music strong enough to run Pro Tools or Logic or whatever software you prefer to use (read our music software guide if you need some recommendations). You’re going to want to buy an Apple computer if you don’t already have one. Long story short, recording software is incredibly demanding on your computers CPU and RAM and the MacOS is and always has been more intelligent about how it manages CPU and RAM usage than Windows. A Windows PC will already be working fairly hard before you even load up your software, although if you do want a PC, many out there can still handle a decent load if you obtain enough SSD memory, CPU and RAM. 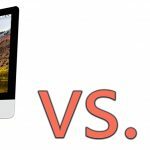 While a new MacBook Pro is certainly strong enough to handle the task, you’re not going to want to try to navigate recording software on a laptop screen so unless you’re willing to purchase additional monitors, you might want to go with an iMac. 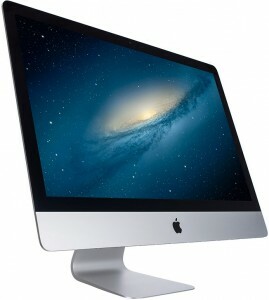 A decently loaded 27” iMac will run your recording software just fine. Those new Apple iMac Pros that they announced back in June of 2017 are slated to release December of 2017 and they would be absolutely perfect for any home studio with the biggest advantage being the increased amount of high-speed interfaces on the back of the machine. It even comes with a sleek black mouse. 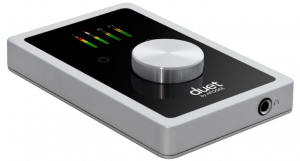 You can purchase your audio interface as a combo with your recording software and this is highly recommended as you’ll save a bit of money and you’ll be purchasing a piece of hardware that already speaks the same language as your software. The audio interface is basically a box in your home studio that translates your analog audio into a language that your computer can comprehend digitally. The biggest thing to consider here is how many channels you anticipate recording at once. This where things get a little confusing. Take for example this Apogee Quartet Pro Tools Subscription Combo. This is a fantastic product if it can fit your budget. Apogee works extremely well with Apple devices and this unit comes bundled with Pro Tools so the setup will be as easy as it gets. You can plug four microphones into this device at once, but it can handle up to 8 additional digital inputs in addition to the four analog, totaling 12 simultaneous inputs. That’s really about all the inputs you’ll ever need for a home studio however you’re going to need to buy some additional hardware to take advantage of those 8 digital inputs. Four analog inputs with built-in preamps is a pretty good start. With four inputs you can get a decent recording of a drum set, or a piano, or a singer with a guitar. You’d be surprised what you can get out of four inputs in a home studio. 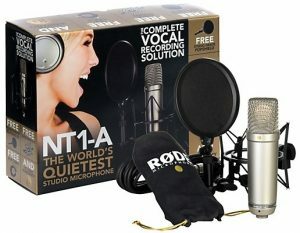 Rode NT1A Condenser Microphone Package: For Vocals – This is a quality mic, a great bundle with the shock mount, mic bag and the pop filter, and a very reasonable price for what’s included. You’ll get a lot out of this bundle right when you open the box. Shure SM81-LC Cardioid Condenser Instrument Microphone: For Acoustic Guitars, or Cymbals & Hi Hats – You can’t really go wrong with a Shure mic. This mic is great for picking up the higher frequencies of acoustic instruments and bright cymbals. And if you’re reading this saying “my acoustic guitar has an output jack, I don’t need a mic,” well you’re wrong. Never record with that! 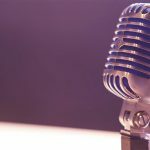 Shure SM57-LC Cardioid Dynamic Microphone: For just about anything else – Throughout my career, I’ve seen this mic used for just about every instrument. I’ve seen people use it to mic trumpets, cymbals, snare drums, guitar amps, acoustic guitars and even vocals. Now it’s not designed to pick up super low or super high sounds, but this mic is a versatile workhorse that will do a pretty decent job of whatever you ask it to do. XLR Cables: You’re going to need a handful of these to plug-in all your microphones if they don’t come with the mic you’ve decided to buy. Don’t worry about buying super long ones, either. You can safely link a couple of these together without losing very much signal quality. Microphone Stands: You’re going to want to get at least two or three microphone stands. I recommend boom stands as they are far more versatile. Studio Monitors are the speakers you’ll use to mix your tracks in your home recording studio. They’re much different from the computer speakers or sound bars you’re probably used to. Studio monitors are designed to offer a completely flat frequency response which allows you to be the judge of your mix. Most consumer speakers come with sound “enhancements” like a boosted bass or boosted highs. This makes the music sound more dynamic, but it’s not appropriate for mixing — let the boosting occur on the listener’s end. These Mackie CR5BT Studio Monitors are a pretty nice option. 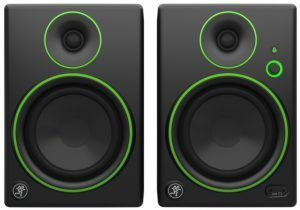 They come with the quality and design of studio monitors but offer nice features like an option for a Bluetooth connection as well as a pad for each monitor to rest on. Chances are your computer is going to be in the same room as your microphones and you’re going to have to check levels in the same room as your source. For this, you’ll definitely need some pretty decent isolation headphones, or what others may call studio headphones. This is where you’re really going to want to spend some money. You’re only going to be able to work with what you record, and if you don’t have a good idea of what your audio sounds like while you’re tracking, you’re not going to have very much to work with while you’re mixing. 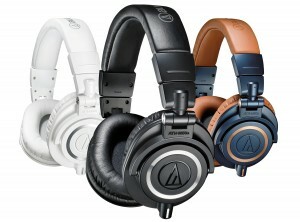 Audio-Technica ATH-M50x Monitor Headphones: We have a pair of these laying on our desk right now. These are large enough to completely cover your ears and offer critically acclaimed performance, clarity, and isolation even in loud environments. You’ve got all your equipment hooked up and ready to go? Start recording! Record anything. Get used to the process of getting your room and your house ready to be in recording mode and lay down some tracks. Have fun. Mess with the placement of your sound foam or furniture in the room to see how it affects your recording. This is your space and you have the freedom to adjust it however you’d like! 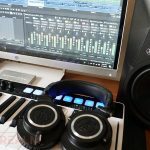 Mac vs. PC for Music Recording and Producing — Which is Better?